As keen bike fans ourselves, we know that most cyclists have a real love for their own bike or team colours – or perhaps a favourite champion from a big contest like the Tour de France. 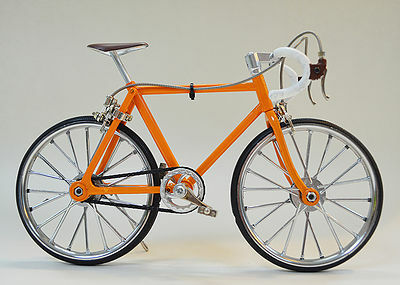 Using the N+1 components in 1:8 scale, we are able to create bespoke models to match your own specifications, customising the colours to suit your preferences. 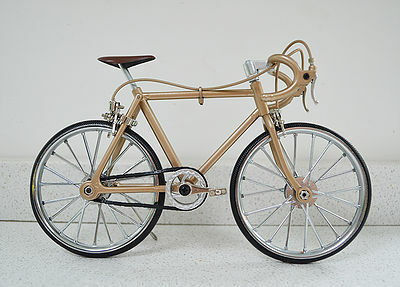 We offer a range of custom colours, including the really stunning Olympic gold, hand-sprayed and finished with a brown saddle designed to replicate the look of leather. Once you have chosen a colour, these model bikes are hand-painted in the UK with high quality, durable paint that will stand the test of time. 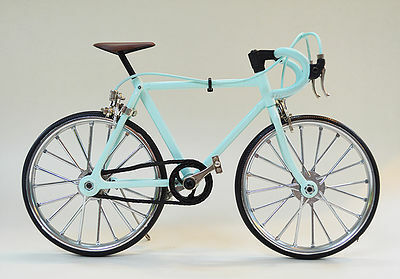 We will then construct these bikes ourselves, to ensure the best possible quality – ready for you to display. While there’s certainly nothing wrong with treating yourself to one of these models or your own collection, we also recommend these products as an unusual gift for any cyclists in your life. By choosing bespoke colours, you make gift-giving that little bit more personal, making this an incredibly thoughtful option for anybody who’s glued to their saddle all year around. The N+1 components are also of a wonderful standard, which ensures that these bespoke gifts are going to provide a long-lasting present that will last and last. We love working on these items because we know that we’re providing people with something that they’re really going to cherish. 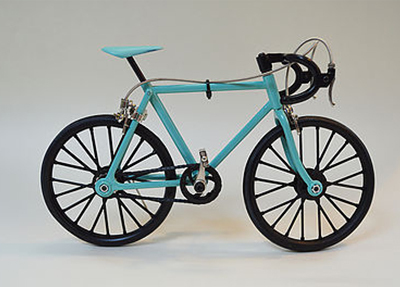 While any of our model bikes will look great on display in your home or even on your desk at work, these are special because they can reflect your own specific cycling interests. For other customisable items, you can take a look at our range Peloton Riders; these miniature models are designed for you to paint in your own colours, offering a very broad choice of designs – your imagination is the limit. If you can’t wait to see a bespoke N+1 bike sitting proudly on your mantelpiece or coffee table, please don’t hesitate to get in touch; you can contact us online to find out more, talk through your options, and tell us how you would like your bike to look.